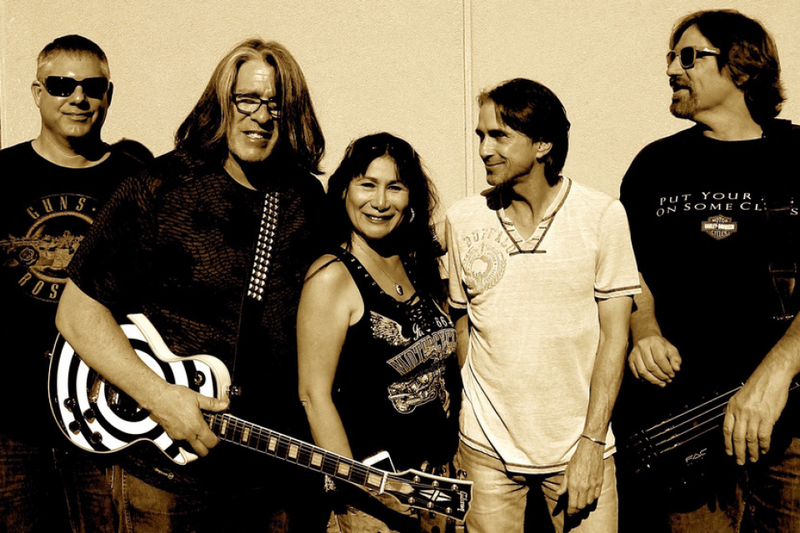 The Backstage Crew is "Arizona's Premier Classic Rock / Variety Cover Band" performing everything from.... Classic Rock and Country to the Black Crows and Black Eyed Peas. From the seasoned musicianship, four part harmonies and powerful rhythm section to their on stage antics, this five piece Phoenix based band will provide a high-quality, high-energy, interactive and entertaining show. With a strong emphasis on audience participation. Performing at Country Clubs, Casinos, Night Clubs, Festivals, Corporate and Biker Events. Some of our clients include: US Airways, APS, Westgate, Harrah's Casino, Cliff Castle Casino, Apache Gold Casino, Hon-Dah Casino, Pinewood Country Clun and Arizona Bike Week. Featuring: Pat (Lead Vocals & Guitars) Ron (Bass, Vocals and Keyboard) Freddy (Lead Guitar & Vocals) Mike (Drums & Vocals) Princess (Keyboards, Percussion & Vocals) we will always play the right music at the right time and at the right volume. And with an exceptionally wide variety of musical offerings, this band will keep the dancers on the floor, a smile on the most discriminating of listeners and are sure to give you something different from your average cover band. Our goal is to provide audiences with exceptional music, and an experience like no other. Trust your event to the talented, experienced members of The Backstage Crew! Thanks for visiting the new home of The Backstage Crew !. This is the place where you can check out all the latest news, photos, music and videos. Be sure to check out the different pages on our site and sign up for the newsletter before you leave. Come back often as we will be updating the site frequently. Thanks! 116,512 views since Thursday, 30 December 2010.